After my last post, we had the joy of celebrating Easter with the folks from Grace Bible Fellowship across town here in El Paso. I've been trying to buy up opportunities while we are here in town to spend time with believers as they meet together or serve in their community. A few members and I went to the local outlet mall for outreach on Good Friday, and then the next week we met at the local state university, UTEP. This past week I had an opportunity to participate with them in a kids' Bible club at a park close to downtown. It looks like there will be more opportunities to do that in the near future. I'm excited about the multiple forms of outreach this church undertakes. Early this month, I also finished up some work I was doing for Pastor Brock at Crossway Baptist in Bakersfield. In January we had been working together on a series of messages on the gospel, but I had never finished an appendix related to messianic prophecy. Looking through so many passages of the Law, Psalms, and Prophets to see God's redemptive plans and the person of the Messiah was so rewarding. I'd highly recommend the study. 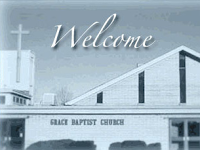 This last weekend we travelled to Farmington, NM, to present our work at Grace Baptist Church. One of the pastors there is on deputation parttime to plant a church in Colorado. It was neat to connect with him and see his burden for that area. The church supports a missionary couple in Kenya who we will be working with a bit in the future, and the church was already familiar with our network of national pastors and the nature of the work there. It's always good for us to see a church who knows their missionaries! 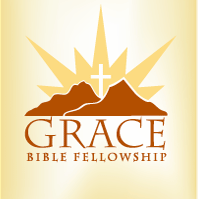 Tomorrow we're leaving for a quick trip to the Phoenix area to present at Western Avenue Baptist Church. Pray as we get to know these churches that God would develop friendships centered on the gospel into gospel-partnerships. Pray also for our safety (and health) as we rack up the miles on the weekends.